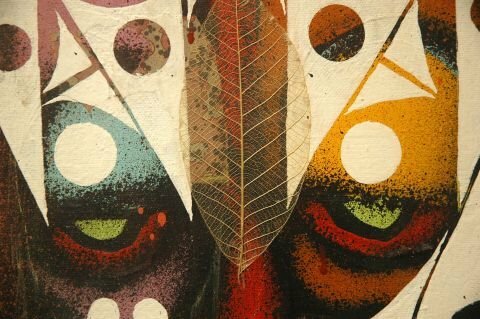 It you haven't had the chance yet there is still time to check the first UK one man show by PHIL FROST entitled "SEEING IS BELIEVING" which opened on 19th October and has caught the attention of both the press and collectors alike. Elms Lesters Painting Romms have had PHIL FROST painting in the historic painting studios above the gallery for the last three weeks and they are now in the position of being able to rehang the gallery with extraordinary new pieces from monumental barn doors to beautiful small drawings on paper. In addition they are showing, for the first time in UK, a short film made in 1996 by Alex Rappaport entitled "Standpipe Siamese and the adventures of Frost"